SENIOR MDC-T official Mr Eddie Cross insists his boss, Mr Morgan Tsvangirai, could quit politics because of ill-health, adding he does not fear reprisals from those angry at him for speaking candidly about the leadership question dogging the opposition party. Speaking to The Sunday Mail Mr Cross said Mr Tsvangirai’s family wanted him to give up on his thus far unsuccessful bid for the Republican Presidency and instead concentrate on treatment. Mr Tsvangirai was diagnosed with colon cancer in 2016, and has been undergoing chemotherapy, mainly in South Africa. There are reports of intense jostling to take over from Mr Tsvangirai ahead of national elections scheduled for 2018. A few weeks ago Mr Cross said Mr Tsvangirai was struggling with treatment and was possibly unfit to stand in elections. Last week he reiterated his position despite the looming threat of disciplinary action from the opposition party. Disclosing that he too was undergoing cancer treatment, Mr Cross said, “I still maintain what I said. There are medical bills (to prove it). 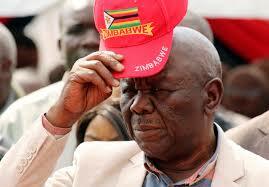 Mr Tsvangirai’s health issues are a concern; we are all concerned . . .
MDC-T spokesperson Mr Obert Gutu would not say what course of action was being taken against Mr Cross, who is the party’s Bulawayo South National Assembly representative. “There are processes that we have to go through. But we will not reveal to the media what it is that we are going to do. What you have heard are rumours, and if we start considering them, we dignify them,” said Mr Gutu.